effortless business is enveloped in Gangam chic. 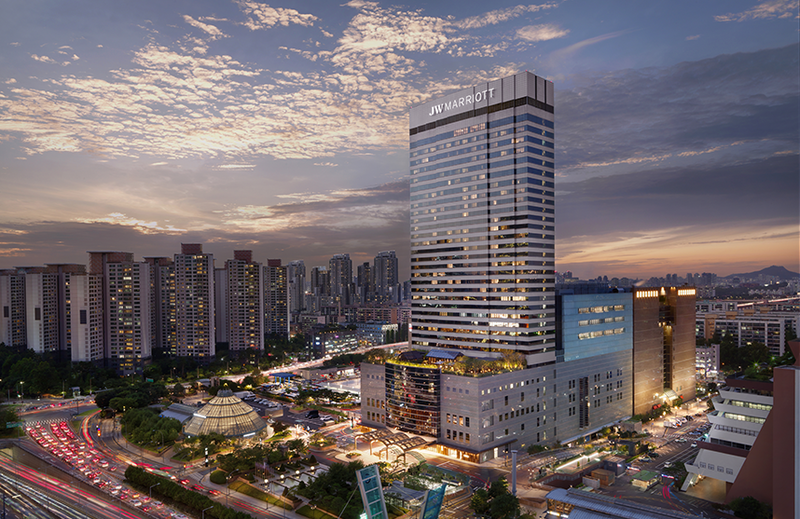 Enjoying panoramic views of the Han River, Namsan and colorful city views, JW Marriott Seoul has 379 rooms, including 2 penthouses and 32 suites. 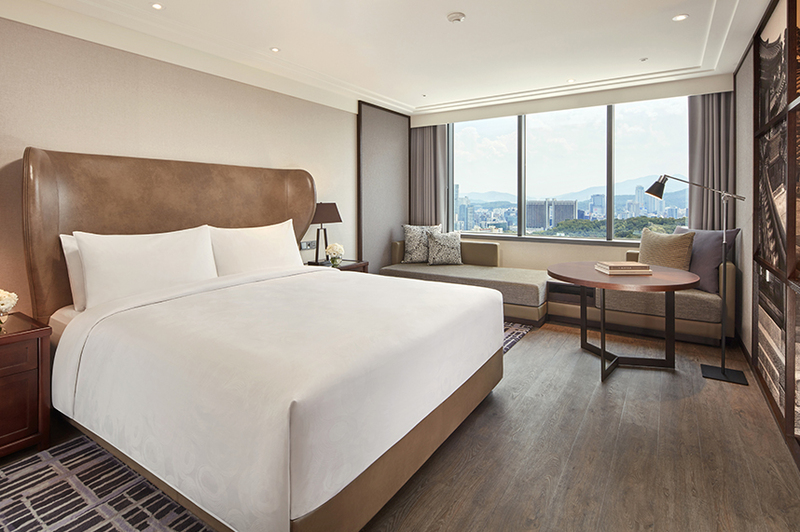 The rooms of JW Marriott Seoul are beautifully blended with Korean traditional flavors and modern interiors. The rooms are large in size with open-air bedroom and bathroom, and relaxing sofas next to the window are the perfect place to relax, heal and enjoy a good night's sleep Of space. for valued business guests. 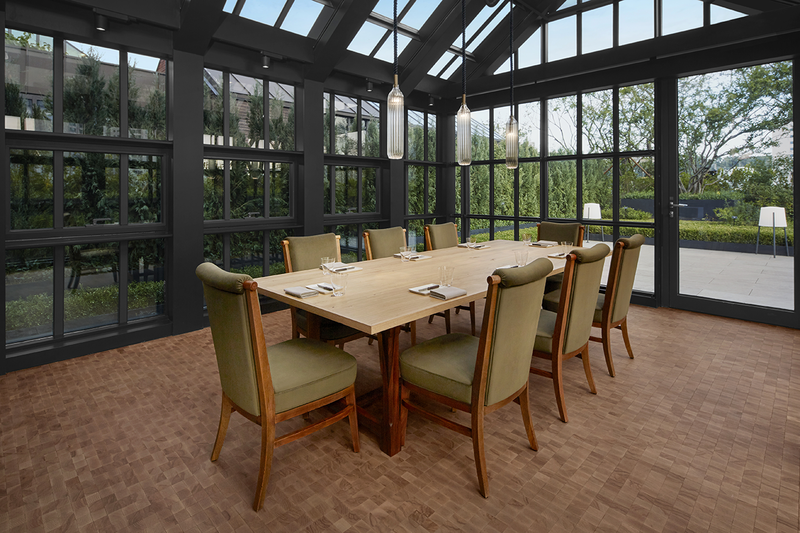 Comprising a dedicated lounge and meeting rooms, ensuring maximum comfort and efficiency for all business needs. 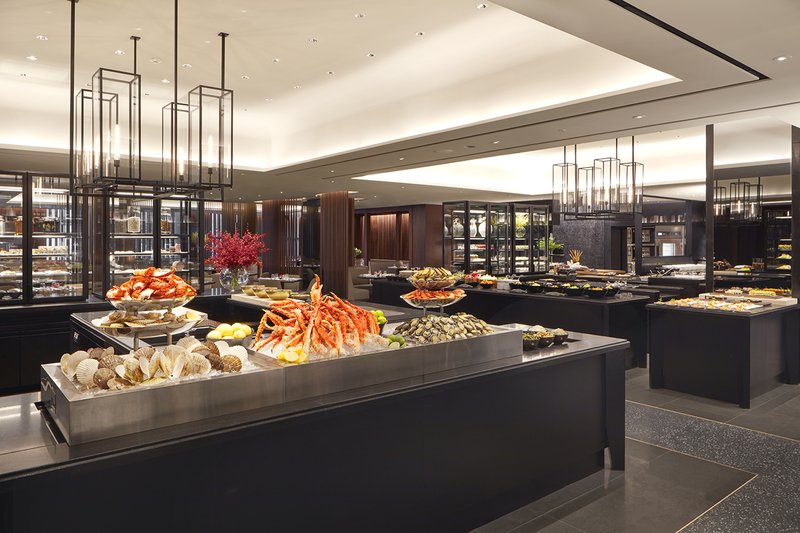 The premium buffet restaurant, Flavors, offers a variety of international cuisine. You can enjoy fresh menus provided by master chefs instantly on live stations. At Patisserie you will find the finest French-style pastries, cakes, desserts and take-out drinks. 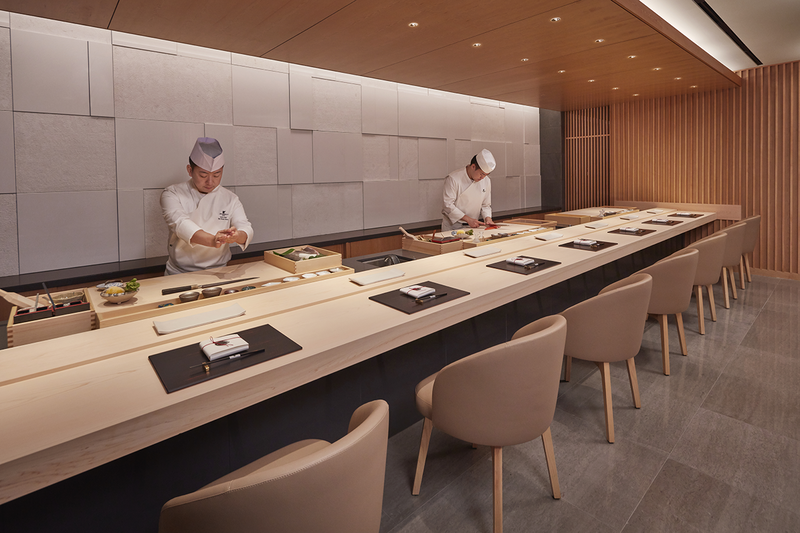 This is the finest Japanese restaurant where you can enjoy Kaiseki cuisine, Edomae sushi, and Western-style live teppanyaki dishes in the privacy of the original taste of ingredients and Japanese tradition. 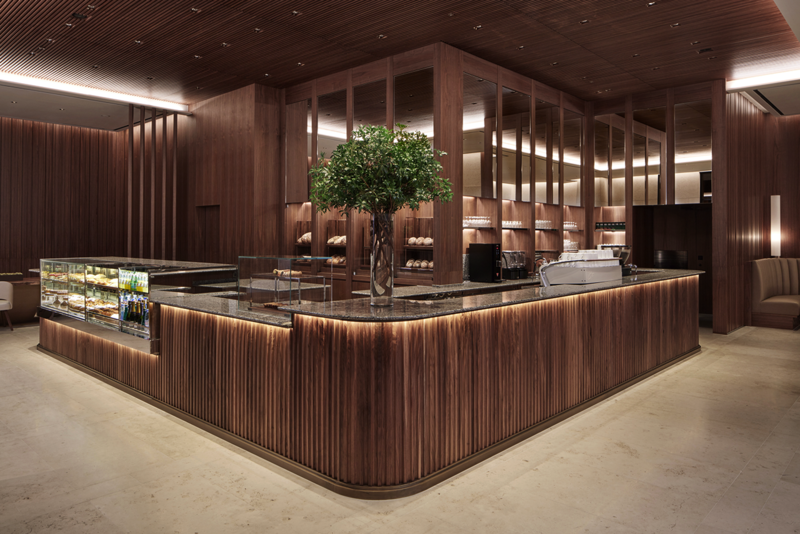 Premium tee selections from tea experts and handmade cookies made chefs can be enjoyed at the tea bar. 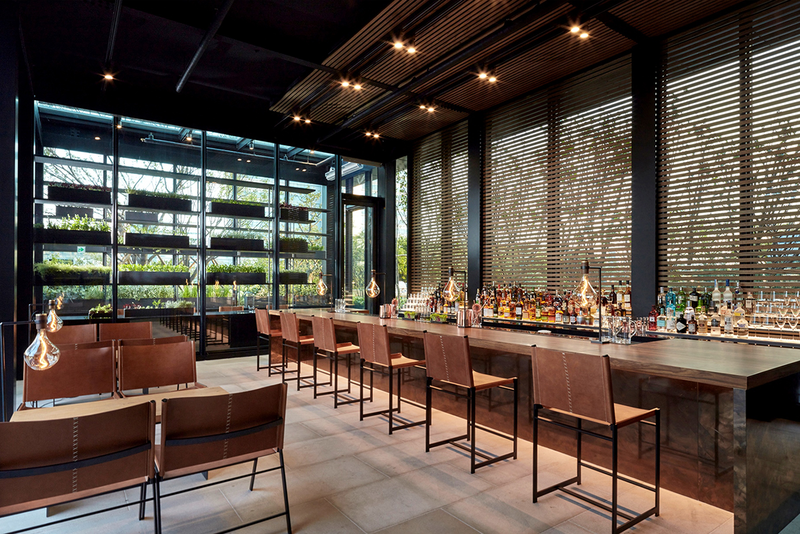 Experience the finest of grilled dishes with the finest meat and seafood menus baked in a wood-fired grill in an intimate space surrounded by outdoor gardens. You can enjoy the haute cuisine by matching the rare wines of the large wine cellar. Top Misologist presents creative ingredients from the garden and original cocktails made from the finest liquors. This is a premium lounge area with high ceilings and large chimneys for a luxurious gourmet experience with natural light and views of the city center. 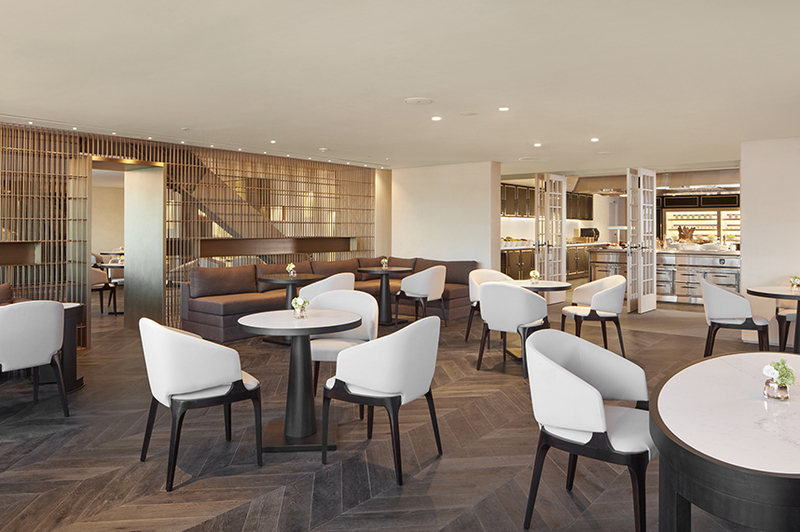 Michelin star restaurant consultant Alan Yau has designed Chinese dim sum, small bites menu, afternoon tea, premium coffee and tea. This casual cafe offers a range of comfort foods, bakery and beverages, including Italian-style sandwiches, salads and panini, pasta, pastries and desserts, as well as specialty barista-inspired coffee and espresso drinks.